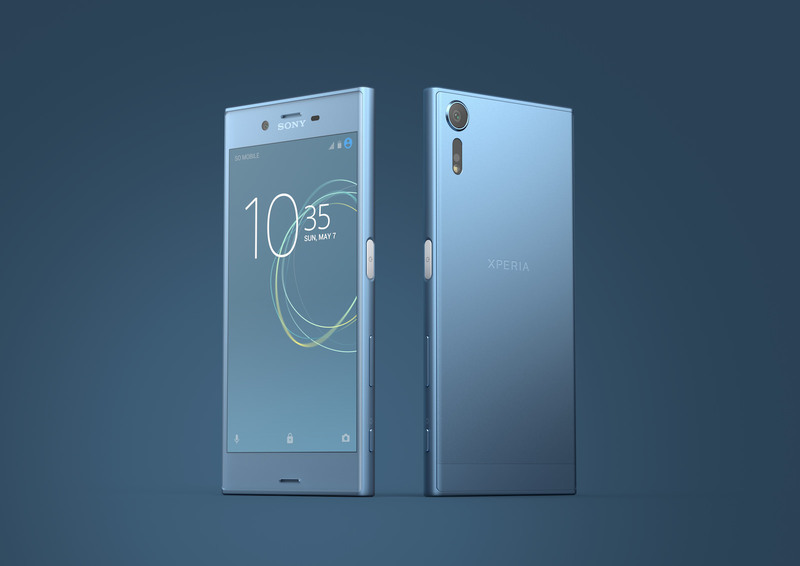 Sony has maintained mostly the same design on its smartphones for years - a blocky shape, usually with a side fingerprint sensor and large bezels. While there are plenty of people content with that aesthetic (they are very vocal in our comments), there's no denying Sony's lineup is starting to look a bit dated, with 18:9 screens and small bezels becoming more common. Sony is widely expected to announce its next flagship device at the Mobile World Congress, which happens later this month in Spain. 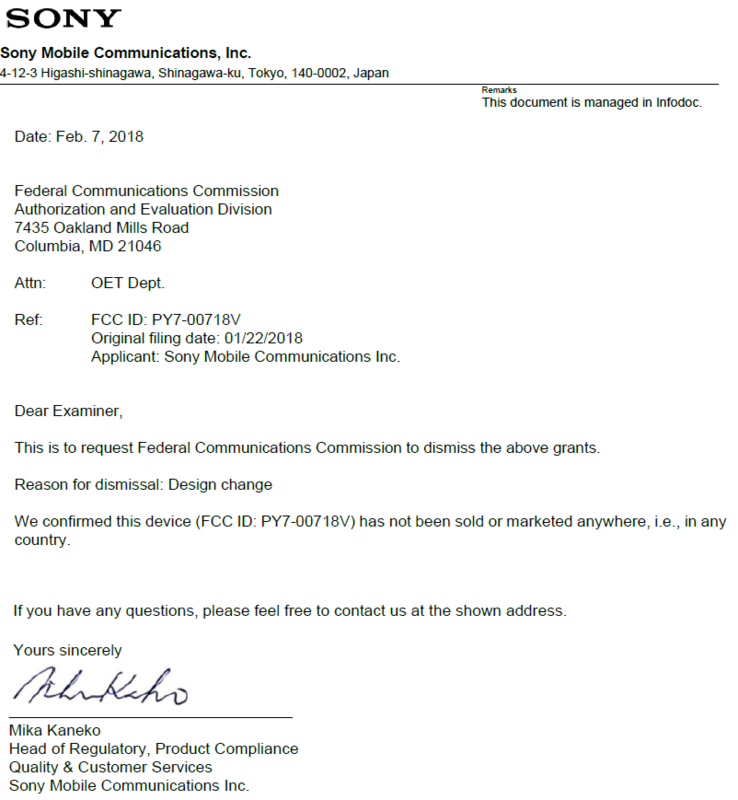 According to a set of documents discovered by Xperia Blog, Sony Mobile has asked the FCC to dismiss all grants for an upcoming device, due to a design change. The device has an FCC ID of PY7-00718V, and is believed to be the company's next flagship. The design change could mean just about anything - from a radical redesign to minor functional changes. Since the letter was sent on February 7, less than a month before the phone's rumored announcement, it seems unlikely that Sony would make major changes. Just last month, LG was rumored to be starting over on the design of the G7, so Sony isn't alone in making late modifications to upcoming devices.